I'm participating in a show this Saturday at Gallery Nucleus! This piece will be up for sale! It's a 16x20 Acrylic, Paper, and Washi tape piece. 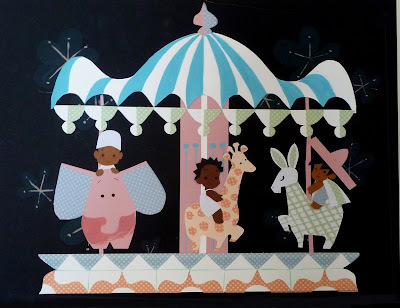 When I saw the Mary Blair show at Imagineering earlier this year I was impressed at how she used so many materials and I wanted to experiment with it myself. Here's the result!